One thing I really dislike about traveling is waiting in airports. Connections, layovers, boarding times … sitting there, doing absolutely nothing worthwhile or of consequence for hours on end really makes me edgy. Thankfully, at the end of the day, it’s about your destination and not the trip there – in this case, at least. Also, some good reading along the way is helpful, particularly when sitting at LAX for nearly five hours between flights. To Patrick Rothfuss, I tip my hat, sir — I picked up his first novel in ebook form on the Amazon Kindle store while sitting at the airport in Vancouver on my way out, and I’ve barely been able to put down my iPad since. I’m hooked. 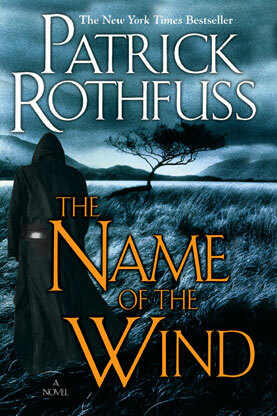 If you’re a fan of epic fantasy like myself, do yourself a favour and check out The Name of the Wind (Kingkiller Chronicles, Day 1). You won’t regret it. I’ve already bought book two so that I can transition over without delay. And for you fans of George R. R. Martin out there, don’t tell me what happened. Yes, I’ve read the entire series to date, but it’s been a few years since I read the first tome. I’m really intrigued by the live-action take on it and I’ve PVR’d the first episode of HBO’s Game of Thrones. Can’t wait to watch it! Now that I’ve gone off the rails a little, back to the point. I’m in Panama City with my wife right now, sitting in a beautiful hotel in the middle of downtown, crouching in front of my laptop and typing this as we decide what to do with the rest of the day. 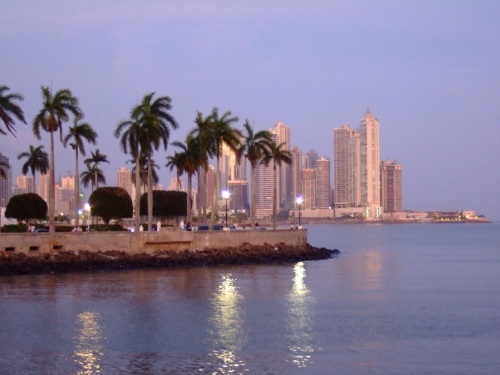 I’m sure a few of you out there amongst our Protagonize brethren have visited Panama before, but it’s hot and muggy here. Hot. I’m still sticky from yesterday, let alone today. The mid-day tropical rain is definitely a welcome respite from the heat. That said, I’m going to be incomunicado for a little longer. I’m here until next Tuesday morning (April 26th) and then headed home over the course of a couple of days, with a quick trip to see my family in the Okanagan on the way home — and of course, to pick up el Snowbeast. So for the next week-or-so, please don’t be too irritated if you don’t hear back from me within a reasonable amount of time. I’ve been out and about pretty much every day and I’ve been pretty lax with email. If you have a horribly urgent question, please get in touch with one of our lovely and talented moderators. They’ll do their best to help you out with your question or issue regarding the site. If you need to reach me for any other reason, I’ll be checking email infrequently, so your best bet is to wait until I get back. Buenas tardes — I’ll see you next week! This entry was posted in authors, General, Miscellaneous and tagged airports, central america, Game of Thrones, George R R Martin, HBO, panama, Patrick Rothfuss, vacation. Bookmark the permalink. Have fun there in Panama! There’s something about sitting in an Airport lounge that I love…it’s probably the people watching, and since I have traditionally traveled by myself, there’s a kind of quiet amidst the rush of international throngs. And nine times out of ten, I’ve found myself part of a conversation with a stranger. Anyhow, enjoy your sun time! My parents have property in Naramata, BC (for you non-Canadians), just up the road from Penticton.